The Apartamentos Compostela is set in the centre of Santiago de Compostela and is within an easy walk from Plaza de Platerias, Royal University of Santiago de Compostela and the Old Town. 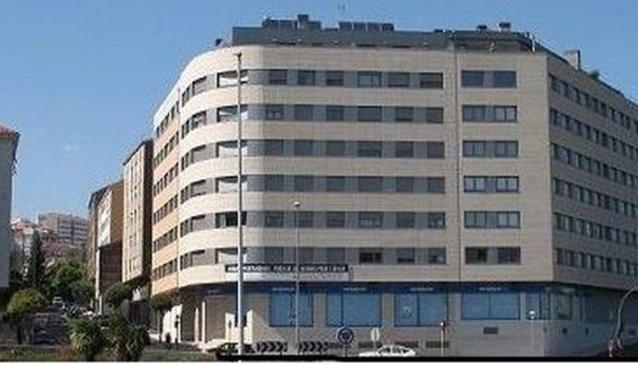 The apartment complex is within a short walk from Plaza de Galicia. The Apartamentos Compostela offers self-contained accommodation with a kitchen and laundry facilities. The apartment complex's help desk can book tickets and tours and help guests with local travel advice. Amenities at the apartment complex include a dry cleaning service and luggage storage. This apartment complex proudly comes with a open to pets policy. Wi-fi is available for use. The apartments at the Apartamentos Compostela have a flat-screen satellite TV, cable / satellite channels and an iron. The ensuite bathrooms provide a shower. Casa del Cabildo, Plaza de la Quintana and Alameda Park are only a quick walk away. Plaza del Toural and Galicia Parliament are both 5 minutes away by foot. Santiago de Compostela Airport is a 30 minute drive from the apartment complex.